Tickets are sold out! Thank you for your interest! Trains operate from 9AM-5PM on Saturdays and 12PM-5PM on Sundays. Children age 3-and-under ride free and do not require a ticket. Food and drink sold separately on-site. Trains run snow or shine. For evening group charters, click here. 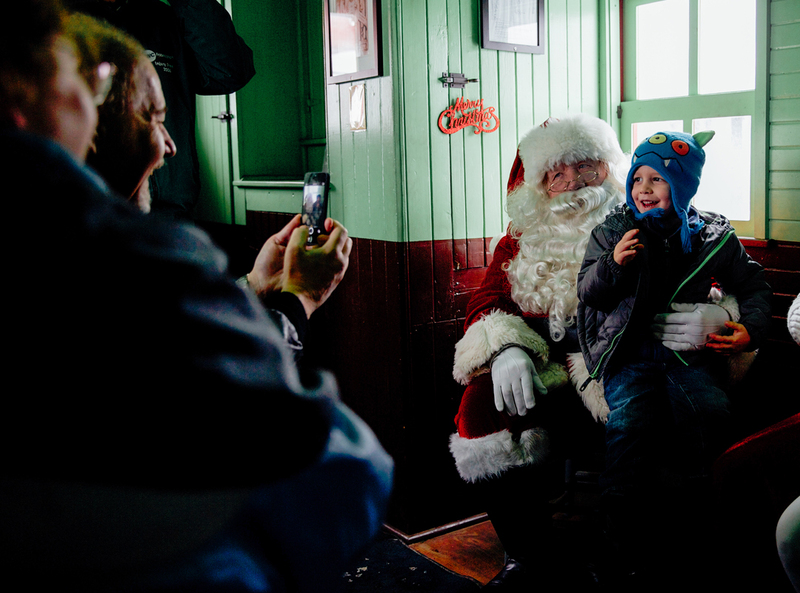 Each trip is operated by a vintage diesel locomotive and lasts approximately 20 minutes. 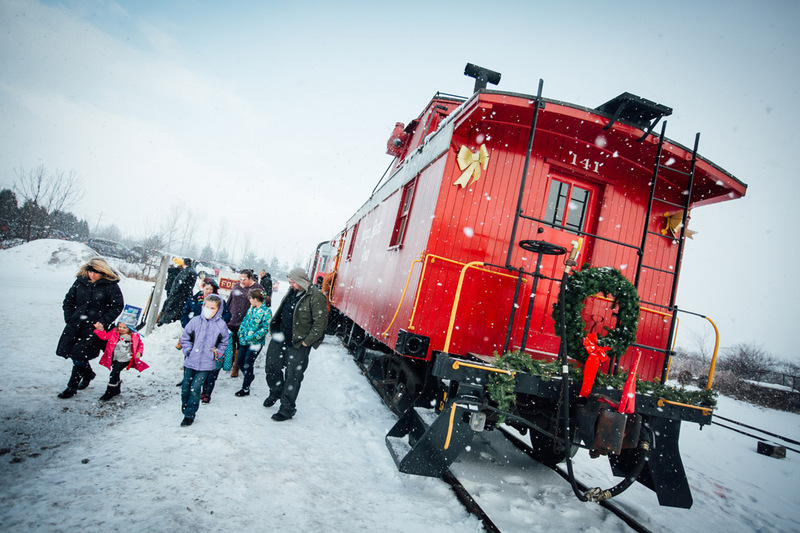 Saint Nick's historic cabooses are heated and Amanda Lee Coffee will be on hand serving warm beverages and snacks. Due to demand, tickets must be purchased in advance. All ticket purchases supports non-profit historic railroad preservation efforts in Northeast Indiana. For more information, visit fortwaynerailroad.org.